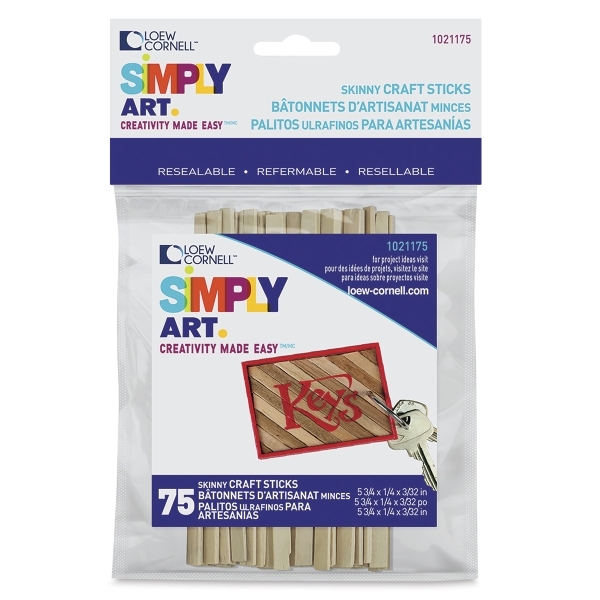 Use these skinny craft sticks for constructing a variety of craft projects. Their smooth natural wood surface can be glued, painted, or stained to make miniature scenes, puppets, boxes, and more. Each package contains 75 sticks. Individual sticks measure 5-3/4" × 1/4" × 3/32" (146 mm × 6 mm × 2 mm). ® Simply Art is a registered trademark.® Loew-Cornell is a registered trademark.